Signing ceremony: L-R: Michael Foong, Group Chief Strategy Officer of Maybank; Datuk Abdul Farid Alias, CEO of Maybank, Anthony Tan, Group CEO & Co-Founder of Grab and Ooi Huey Tyng, Managing Director of GrabPay Singapore, Malaysia and Philippines. KUALA LUMPUR, May 21, 2018 – Grab, the leading on-demand transportation and fintech platform in Southeast Asia, today announced a strategic partnership with Maybank, South East Asia’s fourth largest bank by assets to drive the acceptance and usage of Grab’s new cashless payment method, the GrabPay mobile wallet. The announcement comes as Grab, which received its e-money license from Bank Negara Malaysia in December 2017, is set to launch its GrabPay mobile wallet in beta in the coming weeks. With the partnership and support of Maybank, Grab consumers will not only be able to use GrabPay mobile wallet at GrabPay merchants, but will also be able to eventually use their mobile wallet at Maybank’s key merchants thereby making GrabPay accepted at a wider network of merchants. Similarly, Maybank customers will also eventually have the option of paying via Maybank QRPay at GrabPay merchants. In addition, through the partnership, consumers will soon also have the added convenience of directly topping-up cash to their mobile wallet via Maybank2U, Maybank’s internet banking portal. Maybank customers who use GrabPay as a payment method for rides and other services on Grab will enjoy exclusive benefits and rewards. 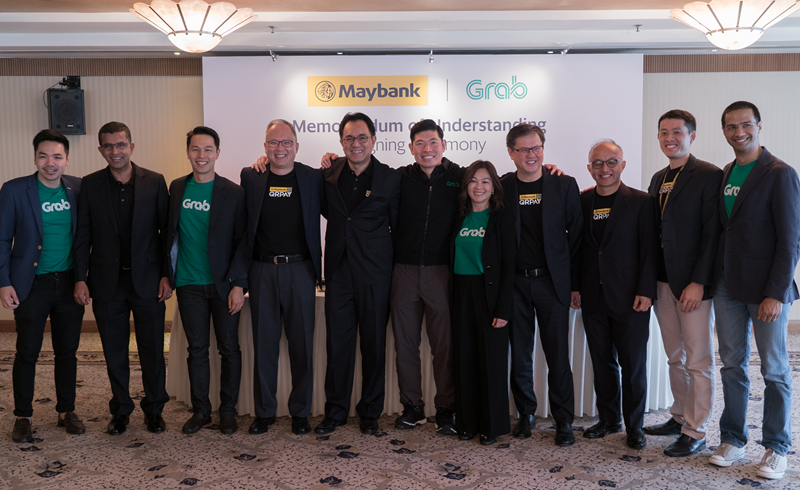 Grab and Maybank will collaborate to bring more merchants into the mobile payments network, where merchants can benefit from new marketing possibilities through the GrabRewards platform and easy new ways to track transactions through the GrabPay app. Ooi Huey Tyng, Managing Director, GrabPay Singapore, Malaysia and Philippines, said, “This partnership underlines the strength of Grab’s collaborative approach. The whole industry needs to come together to make the cashless economy a reality in Malaysia. We are honoured to partner with Maybank which not only shares our vision of a cashless payments future, but also recognises Grab as ideally poised to help make this a reality. Group President & CEO of Maybank, Datuk Abdul Farid Alias said that the collaboration with Grab was part of Maybank Group’s ongoing efforts to provide customers with even more digital conveniences that would not only enrich their online experience but also enhance their lifestyles. With this partnership, our customers will not only enjoy a seamless experience when transacting through GrabPay but also a host of exclusive benefits that would reward them with substantial savings in the long run. All payments made via GrabPay will also earn consumers GrabRewards which can be used to redeem discounted rides, or other lifestyle items in the GrabRewards catalogue. Malaysia is one of the leading proponents of building a cashless community with Bank Negara championing the cause at every level of industry. According to Bank Negara, cash handling and services cost RM 1.8 billion a year to the banking industry and electronic-based payments may result in savings amounting to up to 1% of a country’s economy due to lower retail payment cost versus cash transactions. 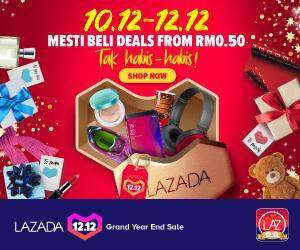 The Group has leading market shares in both the cards and online banking businesses in Malaysia. This partnership is subject to relevant regulatory approvals and further details will be announced in due course.